After the snowdrops, after the crocuses, after the daffodils, there is just about nothing blooming in the front of the house until the June show of peonies, irises, and poppies. I have not been the first person to notice this bloom gap, not by a long shot, and the traditional recommendation is to plant tulips to bridge this gap. The only thing is, tulips don’t thrive in my clay soil and it’s taken me a while to get used to the idea of planting them as annuals. I have nothing against annuals–when they’re grown in someone else’s garden. In my garden it seems profligate to spend so much money on plants that won’t come back. I used to grow a lot of annuals from seed, but discovered they need the most babysitting (watering, potting on, etc.) right about when I need to spend the absolute most amount of time outside weeding, mulching, and generally asserting a modicum of control. So I tend to grow the kind of annuals that self-sow, which tulips are not. This spring I finally got it through my thick head that species tulips tend to be more perennial than a lot of the more “woo-woo look at me” sorts of tulips. Here I’d been growing Tulipa bakeri ‘Lilac Wonder’ for over ten years in the Crocus Bank, and it took me this long to realize I could grow it elsewhere. I did realize that the Crocus Bank was not the best place for it. In order for the crocuses to come back every year, we have to let the foliage grow to its full extent and go dormant. And while we are waiting for that to happen, the grass is growing longer, too. 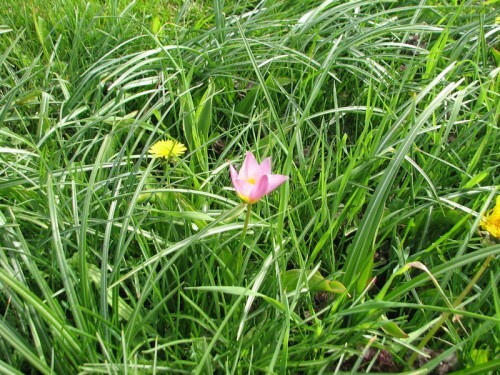 Consequently, by the time the ‘Lilac Wonder’ tulips are blooming, they get kind of lost in the grass. 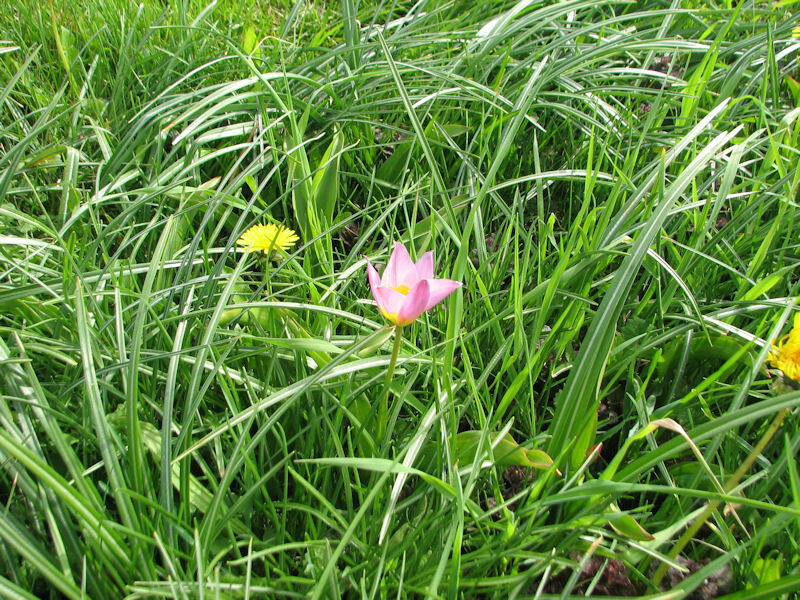 The petite 'Lilac Wonder' tulips got lost in the high grass. But on the other side of the driveway is the peony bed, which is looking for some action while the peonies get up to speed. A whole mess of ‘Lilac Wonder’ tulips would not get lost with some peony shoots as a backdrop. 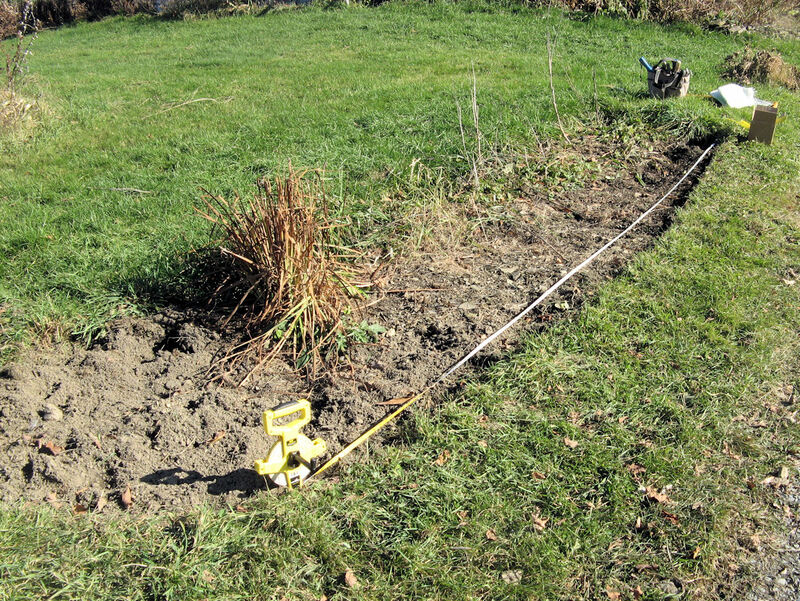 I had learned from planting the crocus bed that guessing how many bulbs one would need to plant a given area does not always work well. So the first order of business was to measure the length of the bed. I needed to know the length of the bed in order to order the appropriate quantity of bulbs. If I followed the edge of the bed, I came up with 16.5 to 17 feet. If I measured straight across down the middle of the bed, it was closer to 15 feet. Then it was time to go shopping. 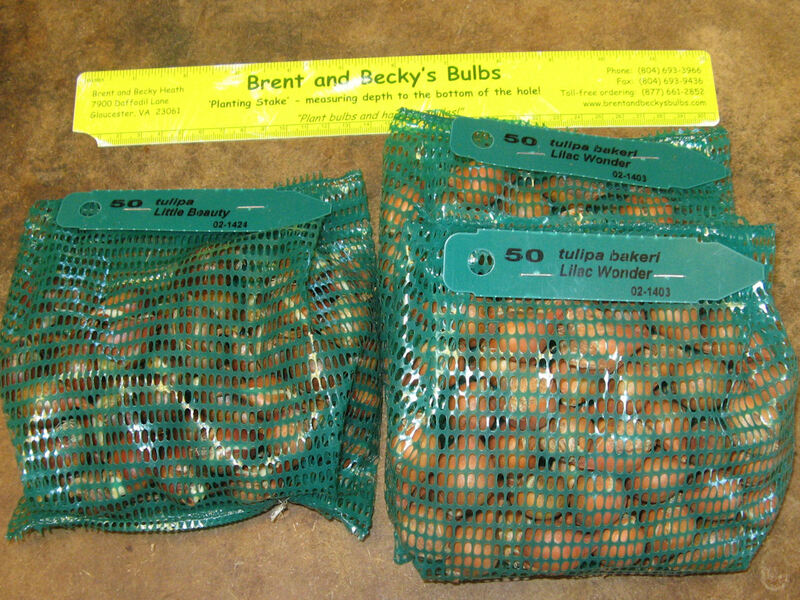 Brent & Becky’s Bulbs has the most information packed site. When I checked their information for Tulipa bakeri ‘Lilac Wonder’, it told me I should plant 10 to 15 bulbs per square foot. Figuring 10 bulbs per square foot along a 15-foot length, I could have ordered 150 bulbs of ‘Lilac Wonder’. But I decided to buy 50 bulbs of ‘Little Beauty’, another species-type tulip, and the remaining hundred ‘Lilac Wonder.’ I thought the darker color of ‘Little Beauty,’ mixed in randomly, would add a little zing to the ‘Lilac Wonder,’ and I also hoped the inner color of ‘Little Beauty’ would match the outer petals of ‘Lilac Wonder.’ I’ll let you know next spring. Here are the tulip bulbs straight out of the box. 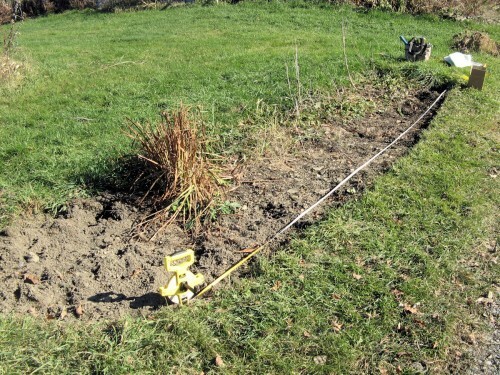 But I am a little embarrassed to show you my planting method, so you’ll have to wait for Part 2 to learn how I do it. If winter is slumber and spring is birth, and summer is life, then autumn rounds out to be reflection. It’s a time of year when the leaves are down and the harvest is in and the perennials are gone. Mother Earth just closed up the drapes on another year and it’s time to reflect on what’s come before. 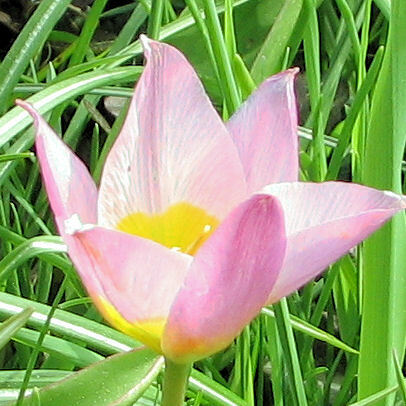 Species tulips do have the benefit of naturalizing better than the show-off hybrids. Plus, they just look more natural than many of the hybrids. Although, I do have a weakness for hybrids too! This fall, I planted some ice cream tulips from Breck’s, as well as some of the apple blossom variety. I can’t wait to see them come up next spring. Good luck growing your tulips! I would like to see those tulips in your garden. It is also advisable to place bulbs like those of a tulip in a refrigerator since they are better planted during the end of the year or the next year like on December and January. .-= Grasshopper´s last blog ..Wordless Wednesday – Ashnead’s Acrobat Ant =-. Well, grasshopper, refrigeration of tulip bulbs may be necessary where you live, but here in this cold climate they get plenty of refrigeration in the ground. If, as Tyra said, the deer don’t eat them as much, that would help. But what about the squirrels and moles/voles who dig up and eat the majority of my bulbs? I’ve all but given up on tulips because of that. I usually put some in pots/containers to give me a little color and am hoping the ones I planted in pots this year will come back again in the spring. I have a lot of voles around my place. The crocuses that are planted in the worst hardpan are ignored by the voles, because they can’t be bothered working that hard. But the tulips were just planted in some of the best soil on the property. We will see how these tulips fare. You definitely have the right idea. Big swath of color with bits of darker color for added depth. It will look lovely. I wish I had the guts to plant that many at one time. .-= Mr. McGregor’s Daughter´s last blog ..The Joy of Leaf Mold =-. 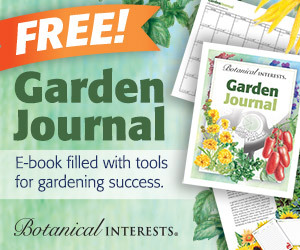 I’m looking forward to reading about your planting method. .-= Carol, May Dreams Gardens´s last blog ..More Thoughts On Composting =-. 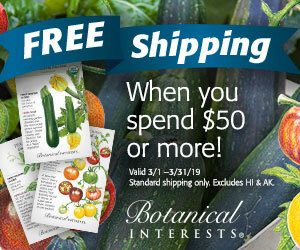 I look forward to seeing your tulip garden this summer! It should be beautiful. .-= Noelle (azplantlady)´s last blog ..Beauty With Age…. =-. I look forward to seeing pictures when they bloom! I have Lilac Wonder somewhere in back, or I did. I need to watch for them. It’s so nice to hear someone extoll the virtues of species tulips, rather than the over-the-top hybrids we usually see. I’ve been growing Lilac Wonder for about 10 years (in MI, IL, and CT) and it’s come back reliably every year – as have ‘Little Beauty’, Tulipa pulchella ‘Persian Pearl’ and Tulipa fosteriana ‘Princeps’. They’re a beautiful addition to the spring garden. .-= Garden Junkie´s last blog ..Beautiful Fall Colors =-. Hi Kathy, it is looking good! I started to add tulips to my garden a few years ago and I find that the botanical tulip are both very beautiful and the dear dear do not eat them as much as others. This is a favourite ! .-= Tyra in Vaxholm ´s last blog ..Soothing remedy for coughs and colds =-.